INDIO, CA (August 19, 2016) – Michael R. Washburn has been sworn as the 19th Chief of Police for the Indio Police Department, the City of Indio announced this week. A 30-year veteran of law enforcement, Washburn succeeds Chief Richard Twiss, who retired earlier in June but stayed on an interim basis until Washburn started. An official swearing-in for Washburn will be held at the Indio City Council meeting on Sept 7. For Washburn’s complete statement, please visit http://www.indiopd.org. 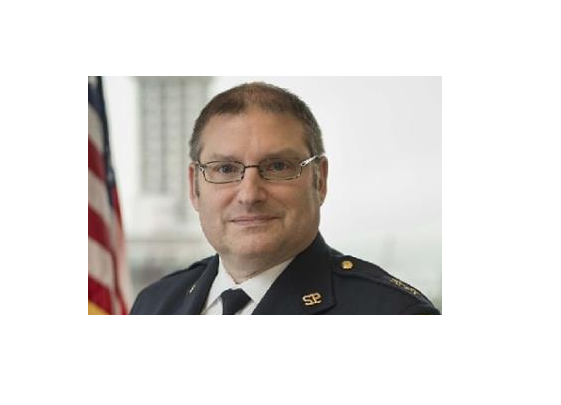 Chief Washburn began his law enforcement career in 1986 with the Seattle Police Department. In 1993, he was promoted to Sergeant and served as a Community Police Team Supervisor. In 2005, he was promoted to Captain and served as Precinct Commander for almost five years. Washburn was then assigned to the Investigations Bureau and commanded the Violent Crimes Section, which included Robbery, Homicide, CSI, and the Gang Unit. From December 2013 through March 2015, he served as Interim Assistant Chief. Washburn earned a Master’s Degree in the Administration of Justice from the University of Alaska Fairbanks and Bachelor of Arts Degrees from Central Washington University in both Law & Justice and Sociology. He is also a graduate of the Senior Management Institute for Police at Boston University. In 2003, he served a six-month fellowship with the Department of Justice at FBI Headquarters in Washington, D.C. as the Safe Streets Executive Fellow. Washburn and his wife Kerry have been married for 29 years and have four children.